Students studying TSM courses that are set to be discontinued will not be able to repeat the year in their original subject combination. Students studying TSM courses that are set to be discontinued will not be able to repeat years in their chosen combinations, due to changes made to the programme. Instead, affected students will have to continue in single-honours courses, dropping one of their subjects. The change comes as part of an overhaul of the TSM programme and will have implications for those who choose to take a year out, those who have transferred course, and students who are currently off books. Some 87 subject combinations will be removed as the TSM programme is phased out and replaced with the joint-honours programme, which will affect students in a variety of ways. If a student repeats the year in a TSM combination that has not been terminated, they must do so as a joint-honours student in that programme. Meanwhile, if a student repeats the year in a TSM combination that is due to be discontinued, they will be moved to a different joint-honours combination or be transferred to a single-honours course. Students who have taken a year out, or delayed their progression in any way, will be in the same position if their combination of subjects has been cut. First-year students whose combinations are being discontinued will not be able to repeat off books with assessment from the current academic year, because they will not have completed modules in the subject that will be added to their new combination. This also applies to second-year students seeking off-books assessment in the next academic year. These changes come after years of protracted discussions about the future of the TSM programme. In 2017, a College-commissioned review recommended that the abandonment of the programme. The nine-month-long external review concluded that while a new two-subject arts course would have fewer entry routes, smaller and less popular courses would be allowed to expand their scope in order to continue to attract students. Last year, it was announced that several arts subject combinations would be discontinued as part of the new joint-honours arts programme. Subjects would instead be organised into four “pillars”, with all subjects in the same pillar being arranged in the same weekly slots on students’ timetables – limiting the number of subject combinations due to timetable clashes. 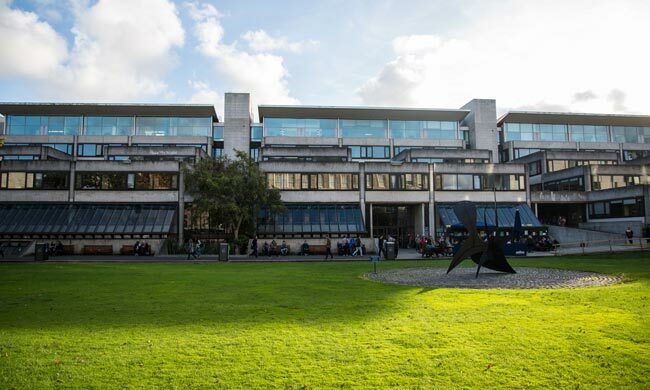 Speaking to The University Times at the time, Senior Lecturer Kevin Mitchell said the move will allow College to introduce “a timetabling process that’s more principled, using the pillars as a basis”. “It sounds like a logistical detail, but actually all of the Trinity Education Project architecture hangs on it”, he said. Mitchell said TSM was “too complicated to allow” for College to implement its plans regarding the diversification of its education. It comes as part of the implementation of the Trinity Education Project, a radical reimagination of every aspect of Trinity’s undergraduate curriculum, which students have been grappling with since its introduction this academic year. “Part of the rationale for consolidating TSM was to allow the options that are in the Trinity Education Project, which are taking a module outside your discipline”, Mitchell said. The Trinity Electives, which were officially launched last week, aim to broaden the scope of the Trinity education. The electives seek to offer students the opportunity to engage with “ground-breaking research, explore languages and cultures, or address key societal challenges”.